Martin-Baker has over 17,000 ejection seats in service around the world today, fitted to 54 different aircraft types in 84 different countries. These programmes have consisted of both newly designed seats as well as seats already in production being fitted to brand-new aircraft, but also being fitted to existing aircraft. In some cases, this is fulfilling the need for an escape system and, in other cases, is replacing an existing escape system. There are a number of options available to suit the needs of our customers – all we need to know from you is listed below. 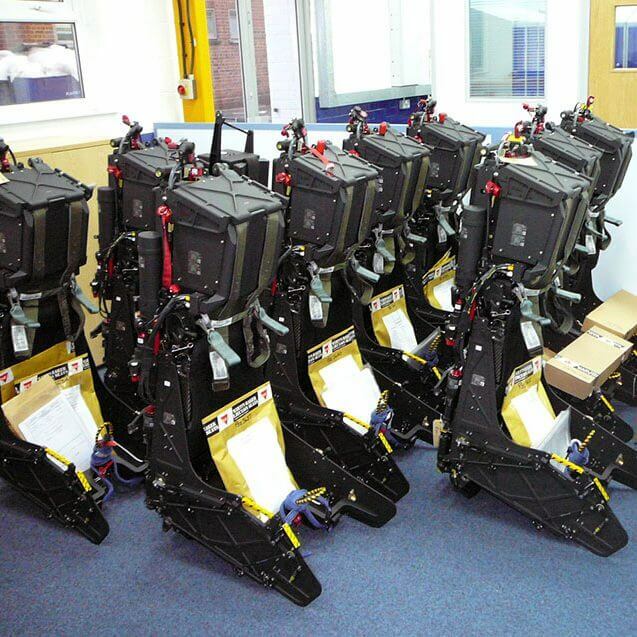 Each aircraft has its own specification and technical requirements for installing an ejection seat; here at Martin-Baker, we can simplify the process for you. Just answer the questions below, and we’ll be happy to get in touch to help you find your perfect installation.